First, please let me express my gratitute towards you for creating this amazing piece of software! You've created something immensely useful and that has no real alternatives. If one wants to get the same functionality elsewhere, as far as I know, he has to use several applications together to cover all HWiNFO's functions. I am posting this because I have noticed a stange inconsistency recently. I am an owner of a workstation system based on X99 chipset and an 18-core Intel Xeon E5-2696 v3 (Haswell architecture) that I built myself. 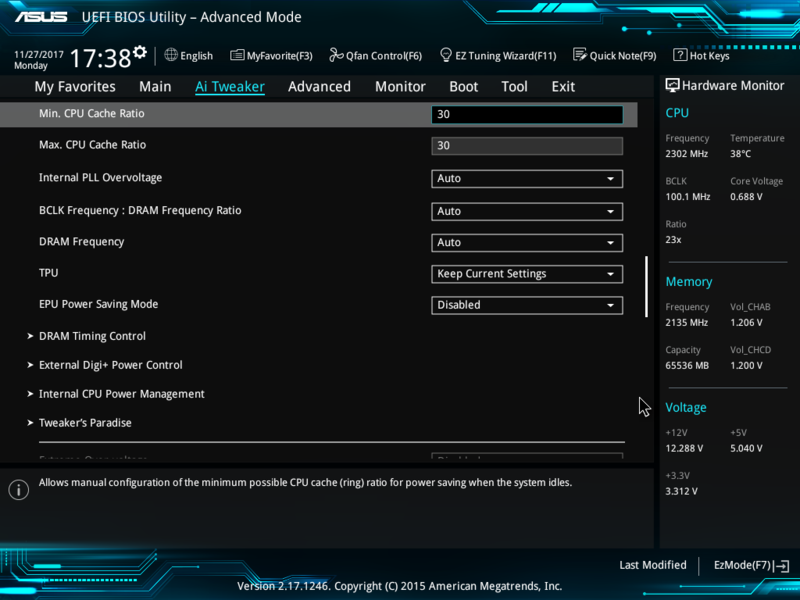 You've probably heard that these CPUs were available on ebay quite cheaply in the past and that their turboboost can be unlocked using a modified BIOS and an EFI exploit. There's a whole thread dedicated to this topic on Anandtech forum. So these kind of CPUs became quite popular in certain risktaking enthusiast circles. I know many people now who have this kind of systems with a cheap used server CPU from eBay. But that's not the point here. The point is, during the process of setting up my modified BIOS for this unlock to work (modification consists of only one thing - CPU microcode update has to be deleted), I noticed something strange and confusing. In the BIOS of my motherboard, I had to enter the maximum multipliers for the CPU cores and for its Cache, which are x38 and x30. Also, applying negative voltage offsets for the cores and for the cache are recommended - they allow squeezing higher all-core turboboost frequencies into the existing limited TDP. I use HWiNFO as my main monitoring tool and I can see these changes in your excellent software. When I open the main window and select the CPU in the treeview of my system, I can see the applied voltage offsets and what they were applied to. 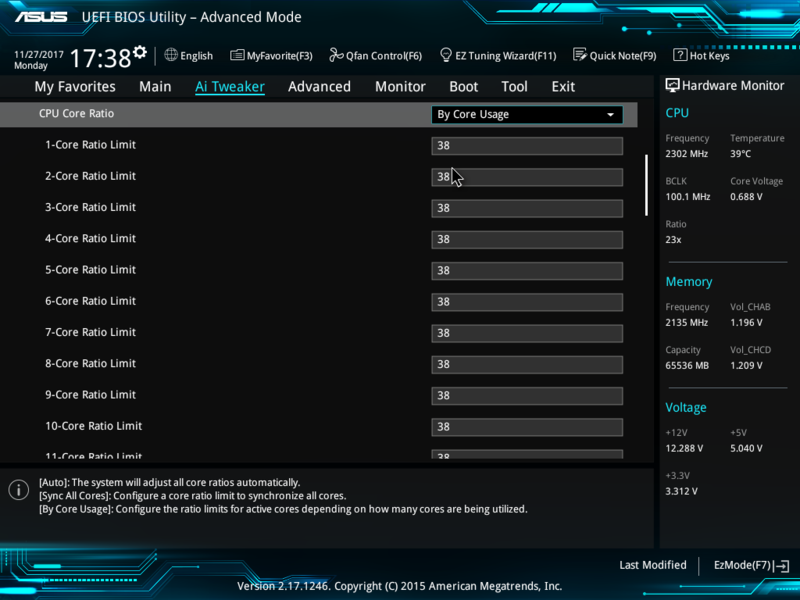 It all looks fine there, and under CBo/LLC/Ring overclocking it also shows x30 as the maximum multiplier, exactly what was the maximum value that could be entered in BIOS which I did instead of Auto. The weird thing is that when I switch to the System Summary window, I see x30 maximum multiplier for the Uncore for some reason. 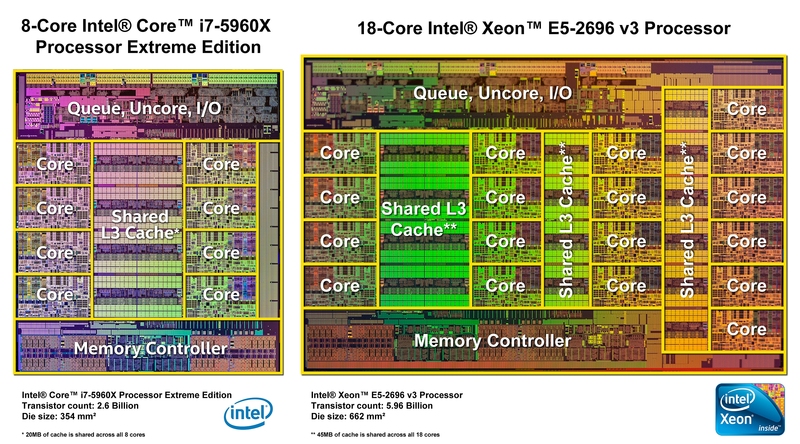 However, in the main window, the Uncore is an entirely separate thing that doesn't have any multiplier of its own. From reading the manual for my motherboard and the descriptions inside the BIOS, I discovered that System Agent is the same thing as Uncore. 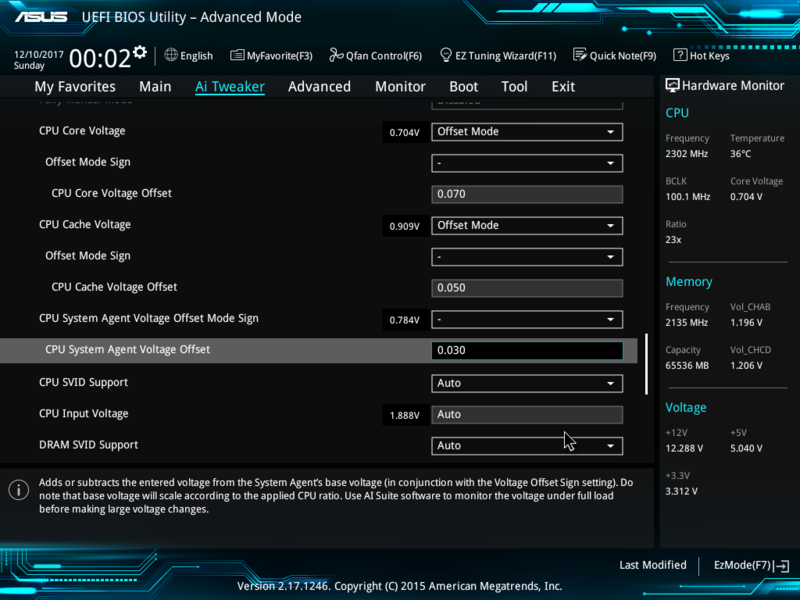 I can also apply a voltage offset for System Agent in BIOS and then I will see it in HWiNFO under Uncore overclocking. 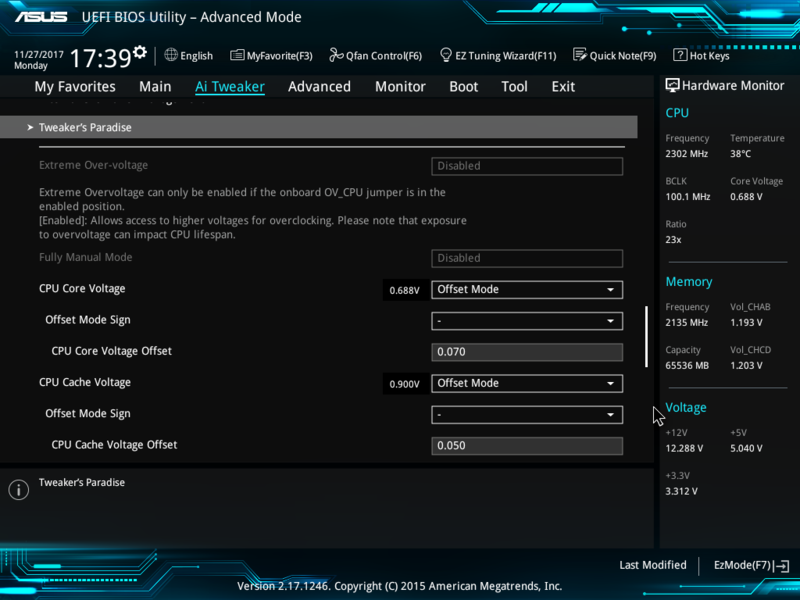 But there's no multiplier that can be set inside the BIOS for System Agent, only voltage can be changed. My conclusion is, that you have confused Uncore in the System Summary window with CBo/LLC/Ring overclocking in the main HWiNFO window. I have additional two suggestions. Is it possible to open two CPU cores windows? I know several owners of dual-CPU systems and they were unable to do that. Also, could you make the System Symmary and the CPU cores windows remember their position? The main window, Sensor Status and the graph windows all remember their position which is great and very convenient. 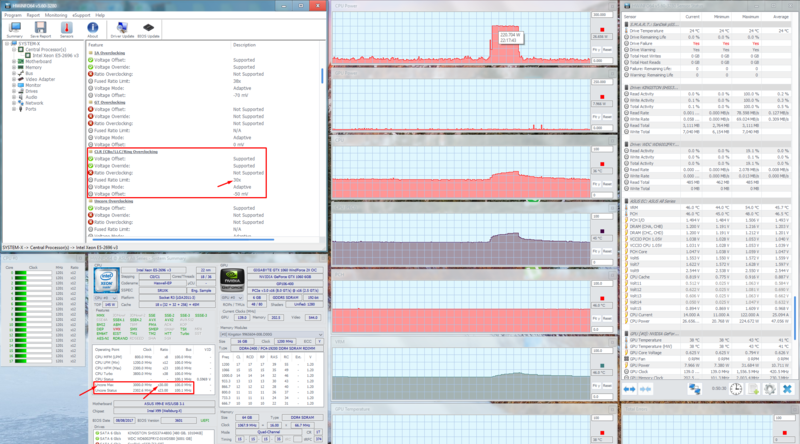 But it's weird and confusing to have to move the System Summary and CPU windows every time one opens HWiNFO. first, thanks for your appreciation, compliments and useful suggestions. You're right that the Uncore and CLR items are confused, I will fix entries in the summary window. Currently it's not possible to open multiple CPU core clock windows, but I will note this into the to-do list. I will also add preserving of the System Summary and clocks window, hopefully in the next release. Thanks for your swift response, Martin! Have a lovely Sunday! Current time: 04-20-2019, 09:41 PM Powered By MyBB, © 2002-2019 MyBB Group.